As you build your collection of the best cannabis seeds in the world from ICE Headshop, it’s important to understand the choices open to you, from genetics to aromas. This is true not just for beginners, as even experts need to choose from different niches to build a collection best suited for them. How do you know what do get? One of the best ways to categorise and research seeds is through their type - feminised, autoflowering and hybrids. Within this sense, you can choose seeds with characteristics to match your expectations. Feminised seeds are bred to contain no male parts and to create only feminised plants, meaning you maximise germination potential and don’t waste precious space on males. They’re also very resilient and stable. Autoflowering seeds don’t need much maintenance and don’t need changing light cycles to thrive - you can largely sit back and leave them to it. This is a good option if you’re pressed for time. Combined, a feminised autoflowering hybrid, like this from… is the ultimate best of both worlds. It’s probable seeds you’re looking at are high in one and low in the other. Both CBD and THC are active chemicals found naturally in hemp that are bred to be predominate in cannabis seeds to serve two different purposes. CBD seeds are designed to be medicinal and are non-psychoactive, whereas THC seeds activate the senses and are psychoactive. The higher the percentage stated, the more obvious the effects. You can choose from minimal to very strong amounts of each chemical; a very strong percentage, for example, would be 16%+. When checking seeds for indica and sativa amounts, you have to consider how it affects the seed in line with everything else. Indica dominant seeds are shorter, wider and typically have high yields. They grow faster and are relaxing strains that are sweet and sour in aroma, like OG Kush seeds for example. Sativa dominant seeds, on the other hand, are tall and thin (the exact opposite) and are typically found outdoors. Sativa is full of energy and creates an uplifting buzz. Besides from picking between the two, you’ll discover a huge variety of hybrid marijuana types with a mix of the two, such as 30% sativa and 70% indica. Rather than adapting your environment to suit seeds (including seed storage) you will find seeds developed and best suited to either cold or warmer climates. It can often be the least exciting factor to take into account but it goes a long way in making a collection tailored to you. In Northern Europe, you’ll definitely benefit from seeds native to the area, such as the Blue Cheese strain bred from UK cheese seeds by Barney’s Farm and Critical Mass Automatic Seeds from the one and only Big Buddha Seeds. Once you’ve got an idea of the above, you can then narrow down your decision based on the aroma profile. Each strain will have an aroma and it really depends on your individual tastes which one would work best for your collection. You can build up a selection of various sweet and fruity types such as blueberry, or opt for more traditional cheesy scents. Whatever your preferences, you can shop in confidence for cannabis seeds at ICE Headshop. 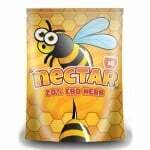 We only stock the highest quality seeds from top brands and are on hand to answer any questions you have about any of the seeds on our site. A good starting point is visiting our seed bank and browsing the different sections, then narrowing down our products using the in-depth filters. Disclaimer: Please check the law where you are. In the UK germination is illegal and seeds can only be collected and used as fish bait.